Sachin Tendulkar is likely to miss Wednesday's Indian Premier League game against Rajasthan Royals but cannot be ruled out of the entire tournament, Mumbai Indians' team mentor and bowling coach Shaun Pollock said on Tuesday. "It's a long tournament, so we give him every chance, every game to see if he will be fit. I am not sure about tomorrow, whether there will be enough time (for him to be fit). I think by the time the game on the 16th (against Delhi Daredevils here) comes around everything should be fine (with Tendulkar)," said Pollock at the pre-match media conference. "Who knows if he feels better tomorrow we will be happy to give him a chance (to play)," he added. Tendulkar has not played the last two games after getting hurt on his right hand middle finger during the IPL 5 opener against Chennai Super Kings on April 4. In his absence MI had tried out Ambati Rayudu and T Suman as partners to South African Richard Levi. "I thought Suman played quite well (in the previous game against Deccan Chargers at Vizag) but it was a brilliant catch by Dale Steyn, and it was a wonderful over from Dale, a brilliant yorker," said Pollock. But he pointed out that despite the poor start the team won a thriller off the last ball against Deccan Chargers, thanks to a belligerent knock of 73 not out by Rohit Sharma. "Unfortunately we haven't got off to a start we wanted. We got off to a poor start but still managed to win the game. That will give us confidence to chase any total. It was important for Rohit to get a good score. It will do wonders for his confidence as well," the former Protean captain said. According to Pollock, two wins out of three at this stage of the tournament was an encouraging start. "It was important we got over the line yesterday. Those are the close ones you need to win in a tournament like this which gives you confidence, gives you momentum and hope it gives you the advantage. Still waiting to find our feet a little bit, but happy to win 2 out of 3." Pollock said low-scoring games provided for good contests as teams chasing were not certain about how to go about it. "I think teams are becoming cleverer as the tournaments unfold. Over the years people have got the understanding what is required from a bowling perspective and you don't often see those big scores often as it used to be in the past. "I think often the small totals make for great games because you are not hundred per cent sure how you should go - hard up front or pace yourselves keep wickets in hand." The 38-year-old former cricketer saw his countryman and IPL debutant Levi as a match-winner if he gets going. "This is a bit of a new experience for him. He's such a wonderful striker of the ball, has the ability to win games on his own. If he can get going it can be wonderful for us," said Pollock who has played in 108 Tests and 303 ODIs. Asked about the warning and fine to captain Harbhajan Singh and pacer Munaf Patel, respectively, by the match referee for breach of Code of Conduct in last night's game, Pollock said though he did not see the incident the behaviour doesn't seem to be "ideal". "Actually I did not see what went on because I had run inside to see the replay whether he (Chargers' captain Kumar Sangakkara) was out or not. But obviously their behaviour wasn't ideal because they got hauled in before the match referee, fined a match fee and given a reprimand," said Pollock. "(But) it's very frustrating when you bowl someone and the umpires are not giving you that wicket. I think the confusion may have happened because the square leg umpire might have seen the ball ricochet off the keeper and hadn't actually seen the angle of how it came off the bat. "I think they both consulted and when they both weren't sure it would have made things a bit easier if they had gone upstairs (to the TV umpire). "I think you can understand how players... wanting the wicket of Sangakkara, it was a big wicket. But like I said, I did not exactly see their behaviour, but obviously it wasn't ideal," he added. Munaf was fined 25 per cent of his match fees while Harbhajan received an official warning. Pollock also praised Rajasthan Royals opener Ajinkya Rahane who had played for MI in the first two years of IPL. 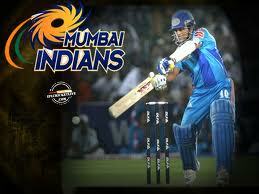 "Ajinkya is a wonderful player. He's come on in leaps and bounds since I first met him at the Mumbai Indians back in seasons 1 and 2. He's played for India now, toured all around the world. He's started off with the wonderful knock in the game they played the other day, so he's a good player and we will have to bowl well to him," he said. He also conceded that he was surprised by the turn the spinners got out of the Wankhede track in a previous game. "I was a bit surprised as we played a few practise games and the ball didn't behave the way it did during the match (against Pune Warriors). But that was no excuse for us losing the last game. "In the IPL you need to adjust to all the different conditions you come across if you want to be successful. It was disappointing the way we played here the last time. Very keen to put that straight and play much better this time around," he added.